Exported North Korean labourers are numerous and have grown more and more international. It has been claimed that there are well over 50,000 North Koreans working abroad in, to say the least, poor conditions. Places such as Algeria, Cambodia, Ethiopia, Libya, Malaysia, Nigeria, Qatar and the United Arab Emirates have all been found to host North Korean exported workers within their borders. But how does Europe differ from all of these places? It is interesting that Europe’s relations with North Korea aren’t more public, especially considering its historical ties as well as economic ones. It should be with no surprise that the communist state has an ongoing relationship with eastern European countries, considering their own communist history. What is the relationship between the EU and North Korea? With no shared ocean, let alone land borders, the issue of the Democratic People’s Republic of Korea (DPRK) is not as much of a headline in the European Union press as it is in North America or in Asia. Although not necessarily prominent, the relationship between the two regions is both historical and of relative significance. The European Union has no official representation in Pyongyang (they do in most capital cities of the world) and leading states such as France and Italy have no individual representation either. Only seven countries in the EU have embassies in the DPRK and five of those seven are Eastern European states such as the Czech Republic, Poland, Romania, Bulgaria and Germany (despite being considered a Western country, Germany would still qualify considering East Germany’s 40-year history as a Soviet satellite state). Each country of the seven that have an embassy in Pyongyang represent and defend in turn the interests of the EU and its non-represented countries. With Europe’s strong communist history, it is no surprise that Eastern Europe has especially strong ties with North Korea, with one of the region’s figureheads, Poland, currently representing EU interests in Pyongyang. Unlike most of the former satellite states, Poland maintains trading relations with the DPRK, albeit limited, as well as strong diplomatic ties, with Pyongyang hosting a Polish embassy and Warsaw a North Korean one. It is evident by merely looking at embassies that North Korea’s relation with Europe is divided. Its common nineteenth-century interests with Russia and by extension Eastern Europe have made for stronger relations with Eastern Europe than with the West. In addition to UN sanctions, the EU has officially denounced the various missile tests carried out by the DPRK, including the last one on 4 July 2017. 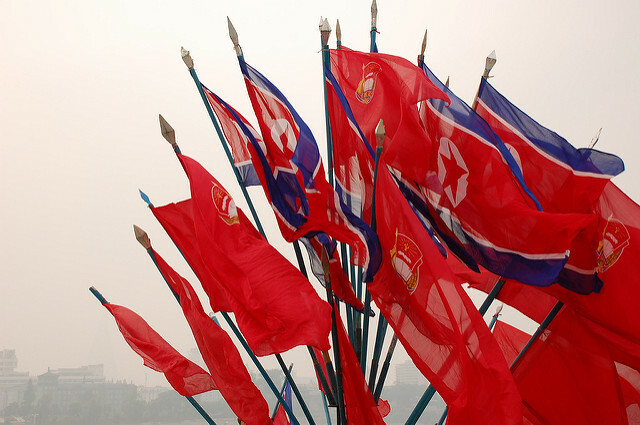 One of the main criticisms that have emerged from the well-known, not-so subtle American views of North Korea and communism in general, is the resulting increased incentive for unlawful activities. Furthermore, the Security Council Resolutions have imposed economic sanctions on North Korea, which have only created an added incentive for the regime to continue along the path of exported labour. What international relations are currently experiencing is a shift from public state policies to private trade deals. With Western Europe reprimanding North Korea and increasing sanctions, there is an added incentive by Kim Jong-Un to support the foreign practice for economic interests. Furthermore, workers exported to Europe are the ones who make the most money, as European pay for a North Korean exported labourer is typically over US$34,000. What are the conditions that these workers work in? It is sad, yet of no surprise, that one of the biggest issues faced by exported North Korea workers is working hours. It has been suggested by many media outlets that North Korean labourers are heavily overworked, with some reports even suggesting that these workers are doing over 60 hours of labour in a week. In the Christ Shipyard of Poland, work starts promptly at 6am and goes on till at the very least 6pm. This in many ways reflects the inhumane treatment of these workers, who are not being held to the same standards as workers in Europe. As in many other European countries, the average working week in Poland is of 40 hours. This makes for a significant gap between the average Polish and North Korean worker. In the space of a week, including weekends and excluding an estimated sleeping time of 8 hours, a North Korean workers spends up to 55% of their time working, whereas, following the same calculation, most Europeans do not in fact break the threshold of 37%. This major gap between European and North Korean average living standards is not only problematic on a moral level but also on a legal one. Weekly standard hours in Europe range from 35 in western countries such as France and Germany to 42 in eastern countries such as Greece and the Czech Republic. It is with no surprise that Europe, like most regions of the world, follows the 1919 ILO convention’s regulations on the hours of work, being limited to 48 hours a week. Regardless of North Korea’s relations with the ILO, upon European soil its guidelines apply and these activities are in direct breach of European labour laws. Breaches of the ILO conventions are most certainly not isolated cases, and one of the most fundamental issues faced by exported North Korean workers in Europe would have to be the indirect form of payment done by the hiring companies. The breach of ILO conventions is even more evident with regard to the management of wages. Written in the Protection of Wages Conventions of the ILO of 1949 is a focus on the idea of indirect payments as a major concern. It states that ‘wages shall be paid directly to the worker except as may be otherwise provided by national laws or regulations, collective agreement or arbitration award or where the worker has agreed to the contrary.’ It has been made evident that this article has been breached by European companies noted to use indirect forms of payment. This breach is a problem, as it allows for a space where the North Korean government can take a high percentage from labourers unaware of their salaries. How do these activities redefine the relationship between North Korea and the EU? Radio Free Asia estimates there 400-500 North Korean labourers employed in Poland, with some estimates even going up to 800. Even if we take the lowest numbers with the estimates given, these labourers have a combined net worth of a minimum of $13 million yearly. Considering the lack of transparency in the salary payments by these Polish companies through the means of indirect payments, one ponders over the percentage of these salaries being cashed in by the North Korean government. This is all to say that, although the number of workers might appear to be low, their economic worth is immense and shows how the smallest amount of labourers affect the world economy. Moreover, this information represents the underestimated economic relationship between North Korea and Europe, especially as these numbers are only for one European country partaking in said activities. One thereby goes from a modest view of the EU’s economic relations with the DPRK, with less than $23 million export to the latter in 2016 (mostly humanitarian aid that falls under the UN exemptions regime), to at the very minimum doubling that sum. It is worth noting the lack of consistency between the perceived value of the economic relationship between the DPRK and Europe and the one playing out behind closed doors. There is clear division amongst European states with regards to North Korea. Rooted in historical ties, these differences manifest themselves through the form of embassies and diplomatic relations. This gap has on one hand allowed Europe to, like most of the West, condemn North Korea through the means of international organisations, while on the other hand maintaining economic relations through the means of already-established private exchanges.